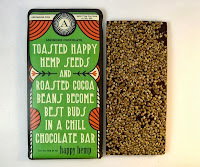 Today was the second day of Chocolate and Hemp Theme Week. 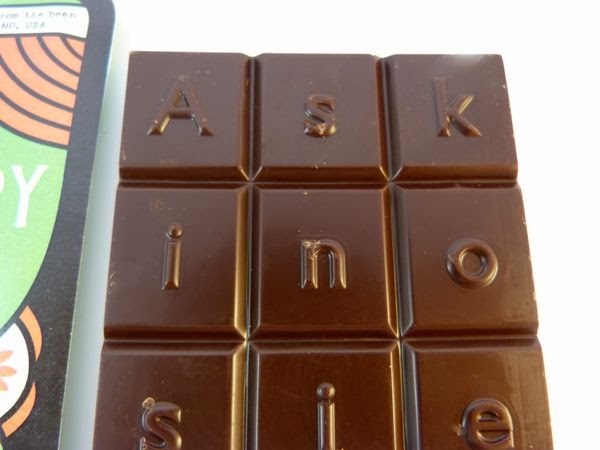 The full name of today's CollaBARation bar from Askinosie Chocolate (Springfield, MO), was the "Toasted Happy Hemp Seeds and Roasted Cocoa Beans Become Best Buds in a Chill Chocolate Bar." A long name. But it did accurately describe the texture and flavor of this bar. 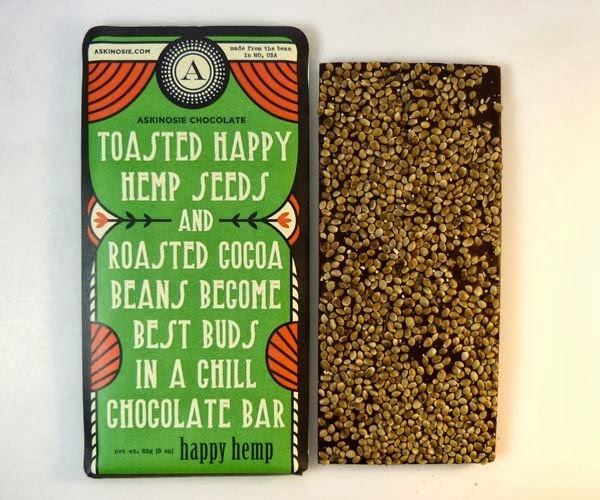 The toasted hemp seeds (from Happy Hemp in Austin, TX) added a substantial crunch; and the roasted cacao beans infused the dark chocolate base with a smoky, well-done taste. 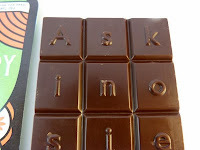 Lots of flavor for a four-ingredient bar (cocoa beans, organic cane sugar, toasted hemp seeds, cocoa butter). I thought there might be just a faint hint of sea salt, but there was no salt listed in the ingredients.